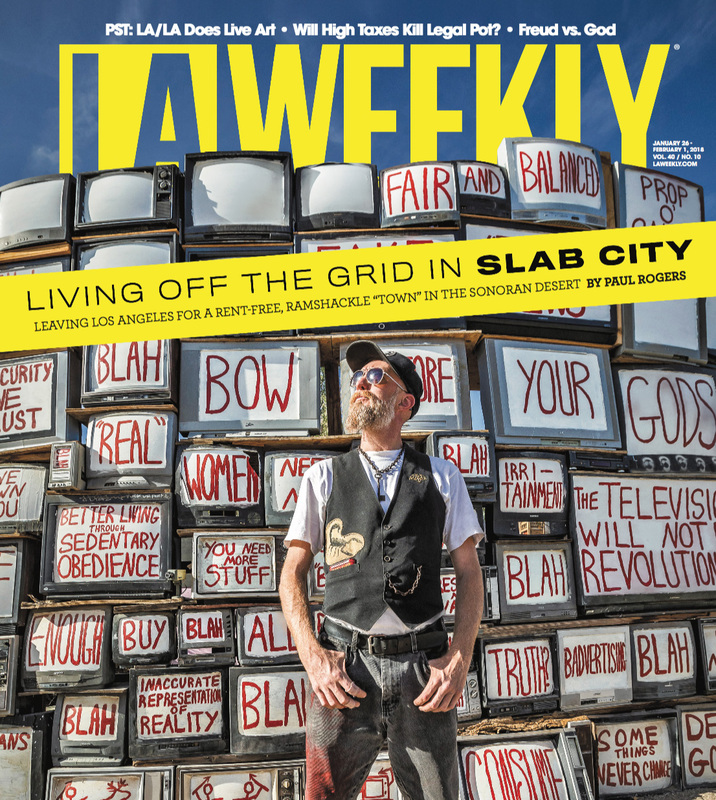 Covered the art colony, and for many a rent free life that is off the grid, Slab City. It's located in the desert next to the Salton Sea in Southern California. Read about in this week's LA Weekly. Clink here for a slideshow of images from Slab City. East Jesus artist, Flip Cassidy and his sculpture "The Television Will Not Be Televised."